James Henry Lawrence was born in Sydney in 1856, son of John Luke and Eliza Lawrence. In 1883 he married Eliza Hind and they had a son and daughter, Pearl B (b.1883) and Frank Dixon (1885-1930). James H Lawrence died at Kogarah in November 1937. James Lawrence spent most of his life in Bourke Street, Surry Hills. 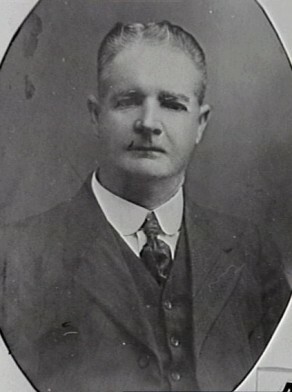 His son Frank Dixon Lawrence was employed by the Sydney Council from about 1915. James Lawrence was Alderman for Flinders Ward, 1 December 1904 to 30 November 1915. He was member of the Health and By-Laws Committee, 1905-15, the Street Signs Special Committee in 1906 and 1908, the Finance Committee in 1912, and the Works Committee, 1908-15.